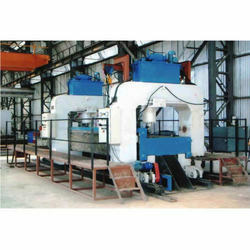 We are one of the leading manufacturer of Custome Built Hydraulic Presses. We are the prominent manufacturers of Rail Track Building Machinery from a known number of years. With the help of our professionals, we are able to gain the topmost position in the industry due to the high reliability and durability of our machines. Our customers widely appreciate our products and that is why they are always high in demand round the year. Moreover, these machines are manufactured using the cutting edge techniques that are in compliance with the international standards. We are offering this product at very nominal rates.